'Refining the Australian Counter-Terrorism Law Framework: How Deliberative has Parliament Been Able to Be?, Deliberative Constitutionalism Workshop, University College London, London 10 November 2015. ‘Williams II and the Extent of Commonwealth Spending Powers’, Australian Political Studies Association Annual Conference 2014, Sydney, 29 September 2014. 'Promoting Deliberative Debate? The Submissions and Oral Evidence Provided to Australian Parliamentary Committees in the Creation of Counter-Terrorism Laws’ (2008) 23(1) Australasian Parliamentary Review, 39. ‘The Constitutional Validity of Declarations of Incompatibility in Australian Charters of Rights’ (2007) 12(1) Deakin Law Review, 1 (co-authored with Professor George Williams). ‘The Constitutional Protection Of Commonwealth Voting Rights: The Case Of Rowe v Electoral Commissioner’ (2011) 23(3) Legaldate 7. ANU Law Explains is a National Law Week 2017 event which will examine four highly political issues with a legal perspective for a layperson audience. 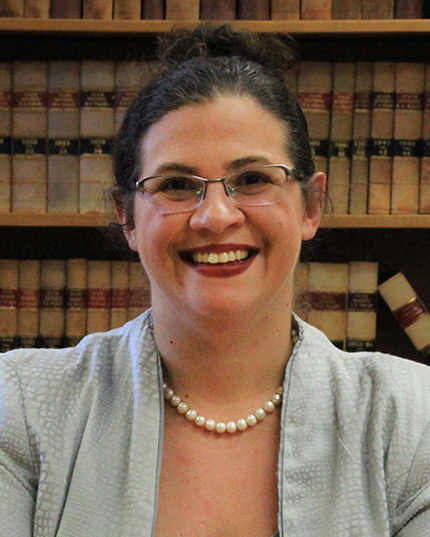 Dominique Dalla-Pozza is a lecturer at the ANU College of Law working in the field of Australian Public Law. Her primary research deals with the Australian Parliament and the legislative process. She is particularly interested in the work done by parliamentary committees. In her role as a co-convenor of the ACT chapter of the Electoral Regulation Research Network (ERRN) Dom has also worked on the Senate voting system. In 2015 she presented work on the way in which the Australian Parliament made counter-terrorism law in the post-Howard era at a conference on Deliberative Constitutionalism at the Faculty of Laws University College London. Dominique is continuing to publishing work on the development of the Australian counter-terrorism law framework. Parliamentary Committees and the Continuing Challenge of Australian Counter-Terrorism Law Reform: Are Some Committees More Effective than Others?' National Law Reform Conference 2016, Canberra, 14 April 2016. 'Refining the Australian Counter-Terrorism Law Framework: How Deliberative has Parliament Been Able to Be?,; Deliberative Constitutionalism Workshop, University College London, London 10 November 2015. ‘A Decade of Making Counter-Terrorism Laws’ Centre for International and Public Law, Public Law Weekend, Canberra, 9 September 2011. Why Should Lawyers Be Interested in Legislative Process?” Centre for International and Public Law Public Law Weekend, Canberra, 12 November 2009. A co-convenor in the ACT of the Electoral Regulation Research Network (ERRN) (2012- current). Academic Editor, Federal Law Review (2010-2012). ‘Constitutional Constraints on the Redesign of the Senate Voting System’ Presentation at ‘A New Senate Voting System’ Electoral Regulation Research Network and ANU College of Law Worksop, ANU College of Law, Canberra, 11 April 2014. Research in Progress Seminar ‘Assessing Parliament's Contribution to the Process of Law-Making: The Legislative Response to Williams v The Commonwealth’., ANU College of Law, Canberra, 12 September 2012. ‘Dickson v The Queen  HCA 30’ Presentation at Talking Constitution: Australian Association of Constitutional Law, Canberra, 13 December 2010. ‘Habib v The Commonwealth  FCFCA 12’ Presentation at the Talking Constitution: Australian Association of Constitutional Law, Canberra, 1 June 2010. No previous LLM Masters supervision. Honours students in Australian Public Law, Counter-Terrorism Law and Constitutional Law. I am not available for any honours supervision in semester 1, 2016. I have only limited availability in semester 2, 2016. I feel fortunate that in the classrooms in which I teach I am able to engage with some of the most pressing issues facing Australia today: how is political power in Australia able to be appropriately used and constrained; how does the Australian parliament enact laws which are aimed at ensuring national security. It is a privilege to have an opportunity to engage with my students about these issues. My work on Parliament connects me with an Australian institution which has an important role in implementing public policy; my particular focus on legislative processes means I am evaluating how legislation is used to achive public policy goals. My work on the enactment of Australian counter-terrorism laws remains relevant as the nation grapples with the threat posed by terrorism in the 21st century.